Luton Town FC Community Trust’s Every Player Counts programme has played a significant part in helping disabled people build their capacity and confidence. One participant in particular, John, is a great example of how sport can make a difference even in a short space of time. John, who is in his late thirties and was born and raised in Luton, was diagnosed with cerebral palsy from an early age which has affected his movement, co-ordination and speech. After regularly attending Luton Town FC Community Trust’s Every Player Counts football sessions, he has grown in confidence and become an inspiration to everybody else on the team. At first, John would be very nervous often sitting out and watching from the side-lines during sessions. He would also struggle with his speech, solely relying on his care worker to speak for him. With the help from staff and players on the team, John now engages fully in sessions and participates in matches and external competitions. He has continued to improve his speech has become a real character within the group with a constant smile on his face. ”I have really enjoyed to see John progress in the sessions not only has his football improved but his speech and confidence has grown. I like working with John and he is a great help to sessions and a role model for the whole group.” Commented Disability Officer Luke Hyde. 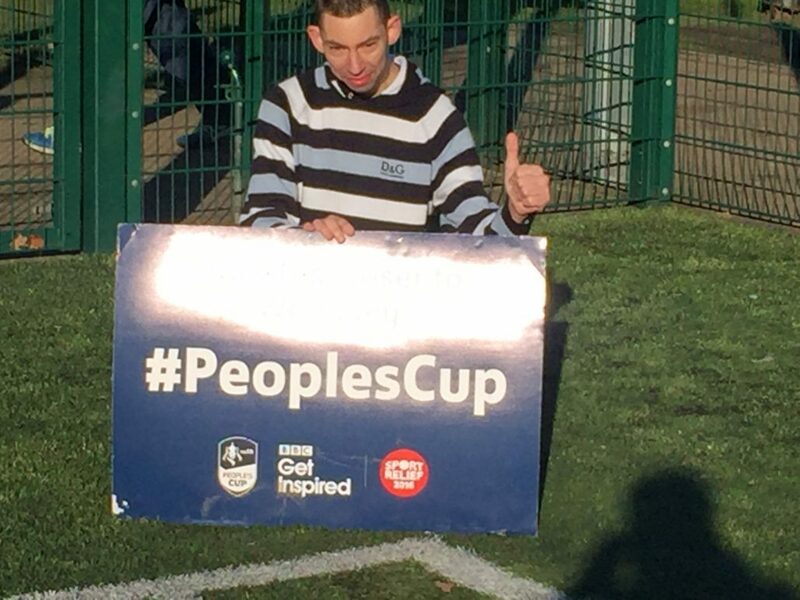 When John first started the programme, he used to like to referee matches and would give instructions to them team and tell them where to go. 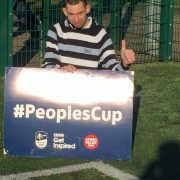 This prompted Disability Officer Luke Hyde, who spoke with John’s support worker about getting him to help out on coaching the teams. 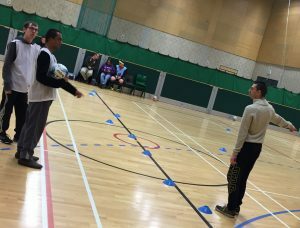 John was reluctant to coaching at first as he thought his speech would hold him back but after helping in the sessions, his speech has considerably progressed and he is now looking to begin a Level 1 disability coaching course in Spring. ”I love coming to football every week and helping out when I can. I have made some friends from the sessions and I am now helping my friends by helping the coaches take the team and laying cones out. I have improved my speech and I can’t wait to go on a coaching course.” Said John.